Follow us now and we'll do the rest for you. 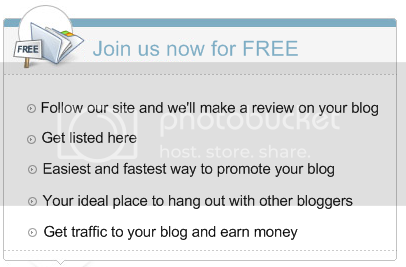 Including promoting your blog here! Trust us, this blog is more than just a social community for bloggers. It is another Bloggers' directory where you can access variety of blogs throughout Malaysia and Singapore. Now, tag your URL and messages and do allow at least 3 days for your blog to be reviewed here. Thanks for your co-operation. You are just one click away from the inside. We will gain a higher publicity to the world in 1 month time. So, please support by following us! Follow Us Now and We'll Post a Review About Your Blog!! I have just read a book written by Mr Andrie Wongso, In his Wisdom Success book, i found one interesting motivation story. It is called, The Power of Love. As the story goes, a young beautiful woman was just married a man she loved dearly. After the marriage, this woman lived together with her mother-in-law. Then, there were so many mishaps and unfitting behaviors and views between the two ladies in the house. The mother-in-law somehow always managed to find flaws in almost everything that her daughter-in-law did.